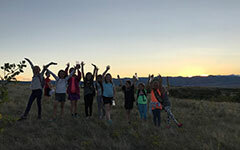 Our Youth Programs are a great way for parents to enjoy a night out and for kids, ages 7-13, to experience the Backcountry after dark, roast marshmallows around the campfire, and learn about a fun subject. 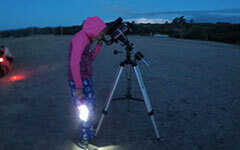 Parents, enjoy a night out after you drop the kids off with us for a fun astronomy program! Send your kiddo with a picnic dinner and all of their questions about the night sky. 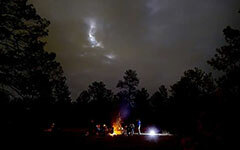 We'll play games, eat dinner around the campfire, and roast s'mores before an astronomy viewing program with telescopes. We're playing Hide and Seek, just like you did in your younger days! Drop off your kid at Base Camp with a picnic dinner that we'll eat by the campfire. 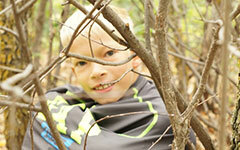 After dinner, we'll split up into teams and play a massive game of Hide and Seek in the forest! Whoo is hooting outside your window at bedtime? Enjoy a night out after you drop off your kid to investigate what happens in the wild after dusk. Send your kid in warm layers with a picnic dinner to eat by the campfire. 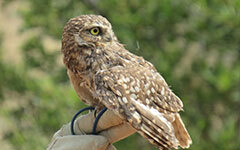 We'll follow dinner with a live animal presentation and a night hike to see wildlife after-hours. 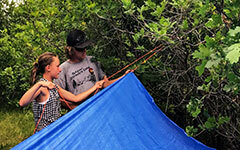 Let your child discover the skills they need to survive in a true wilderness setting. 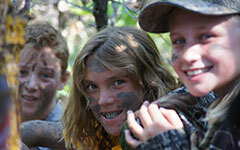 This is an immersion course in wilderness survival skills. 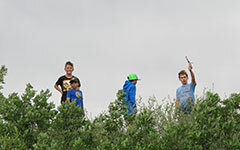 Participants might learn to make fire with and without matches, how to identify and harvest wild edible plants, water purification, knot tying and shelter building, and create fun and practical items like tools and rope. Send your survivor with a backpack, extra layers, reusable water bottle, and picnic lunch. What to Wear: Please wear closed toe shoes and comfortable, weather appropriate clothing for all programs. What to Bring: Bring your sense of adventure and any basic necessities listed in the program description above. You will receive an email a few days prior to your program with reminders and any other details related to your program. Location: Backcountry Base Camp; 6005 Ron King Trail, Littleton, CO 80125. Map & Directions. Refund Policy: Refund and transfer requests must be made 5 days prior to the start date of the program. Programs typically run rain, snow, or shine. If we have to cancel a program due to severe weather, you will be given a full refund. Questions? Contact Jess Fangman at jess.fangman@hrcaonline.org or 303-471-7054.